Xiaomi’s little USB powered WiFi Repeater (some call it WiFI Amplifier) is a cheap and powerful tool to extend the range of WiFi networks. One downside is that (officially) it is only compatible with Xiaomi’s own routers and there is no documentation provided by Xiaomi to make the WiFi Repeater work with other routers. But there is a quick and easy way to make the repeater work with just any router, here’s how. Connect the WiFi Repeater to a power source. You can plug it into a USB port on a PC, a power bank or even a USB wall charger. When powered, the repeater’s LED will start blinking in orange color. Download and install the Mi Home app on your Android smartphone. The app can be downloaded from the Play Store by searching for MiHome or opening this link. Launch the Mi Home app and choose China Mainland as the region. 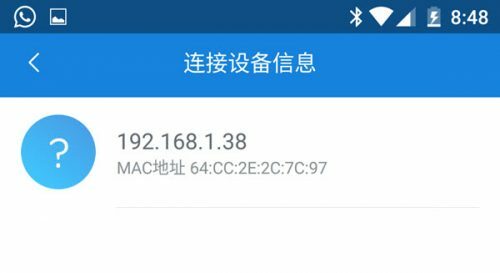 This will make the app open in Chinese, but is more likely to connect to your WiFi Repeater. Tap on the + (Plus) sign at the top right. You can also tap the notification about 1 smart devices found. 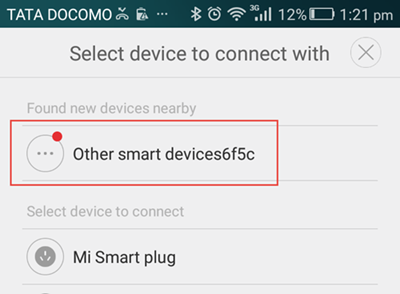 Depending on what is displayed, Select Mi Network Extender6f5c or other smart devices6f5c. If nothing is displayed, consider resetting your WiFi repeater by inserting a pin into the reset hole. At this point, you’ll be asked to login to your Mi (Xiaomi) account. Sign in if you already have one, else create a new account and sign in. Choose the network you wish to extend using the repeater and enter the original password for the same. Wait for Mi Home app to configure the WiFi Repeater to connect and extend your WiFi network. The LED light on the repeater will change from orange to blue indicating a successful setup. Once successfully connected, you will be able to manage additional settings for the WiFi repeater such as changing the SSID, its password or hiding it. Just tap on the Mi Network Extender on the homepage of Mi Home app. Turn on the toggle in front of option 1 (as shown in the image above). This will make the repeater use the same SSID and password for the network and hence will only be detected where the original network is not accessible. Tap on the option 2 shown in the image above and then look at the image below. Turning on the latter toggle will hide the SSID and you will be needed to manually add it to the device you want to connect. Tapping on the option 3 in first image will present a list of devices currently connected to the repeater’s network. You can view the Mac address and the respective IP address. However, no block or speed limiting functions are available. If you have any other concern regarding the Mi Amplifier, consider leaving it in the comments section below. You can also post in our forums or message our Facebook page for a faster response. Maybe some one is facing the same problem in connecting this Repeater to Apple Airport Extreme router as a range extender? I bought this repeater and it connected and worked effortlessly to my Huawei router using the app. But then I tried connecting to my Apple Airport Extreme (running in bridge mode, and not as a router). It connected immediately but after that a red exclamation mark advised the repeater does not work. And the Airport Extreme also starting going offline repeatedly, so un-installed and re-installed using the Huawei (base) router. Again it installed in 5 seconds and worked just fine, with all functions available and a green tick mark showing OK status, signal strength, connected devices etc. And the Airport Extreme also started working fine as before without any drop in signal. Obviously, there is some conflict with the Airport Extreme WiFi protocol. Anyone else faced this problem? Or fixed it? Any suggestions would be welcome, as right now I’m using it only as decoration! what about mi pro wifi? when resetting the repeater phone keeps saying no new device found.I have reset the unit repeatedly and disconnected it from the power supply ut the phone will not see it.Using samsung s8. Managed to setup and able to detect. It shows “no Internet”, if I try to to Internet, page cannot be displayed and prompted to check on the DNS value. Has anyone experienced this or any suggestions? i would like to connect from a modem that has a mac filtering features ( not password protected ) is it possible to use this repeater? if yes, how can i do it? thank you! The WiFi repeater does not have any settings to modify the MAC address. So, you will have to add its MAC address to your router’s whitelist. Else it will fail to connect. Hi Narender, I keep getting the “Connection timed out” on the last message and my LED light is still blinking orange, I haven’t seen a blue light at all. I have reset the repeater several times, changed USB location and repeated the process using ALL regions, but I still get the same message. Please assist!!! Hi Matt, the repeater is really hard to setup at times. I’d recommend that you give it a try again using some other smartphone. I’ve faced this on one phone where it won’t work at all, no matter what I try. I wish there was a better way to program this weird piece of hardware. Hi Matt, I have the same problem ! Do you have find solution? I have connected the device and its working perfectly. But i am not able to change the wifi name and password. After the connection i am not able to see additional settings. I am using IOS apple 7. I also have same problem,did you find any solution? Thanks for the detailed post and it helped me to set this device up. Its working, but the strange things is that the signal very strong ~55 dBm but when I start the ping its getting timed out every now and then and my connection is very slow or some times timesout happens during browsing. However when i bring the device router its working fine. Not sure what is the use when i can use this extender only near to the router. I have tried in many different location to make it work but failed to do so. Could you please provide your view on this? My country have strange internet plan than other countries. Can you please help me with an answer? They have setup wifi hotspot at lamp post to spread out connection to whole city. We need to purchase a Card with Username [ code No. ] and password [ code No. ]. My house is 100-200 meter far from my home to hotspot. I don’t see user name and password stuffs in videos about that mi wifi. Can I connect like that? if I can where can I fill in those codes? 2. can I connect the distance like the above statement? 1. Scan WiFI networks on your phone/laptop. 2. Connect to the network and it does not ask for a password yet. 3. Then a portal opens where you type your username and password from the card. If this is how your public network works, then the Mi WiFi Repeater will not connect to your network. The reason – it does not support open WIFI networks. On the other hand, if the WiFI network is secured and requires a password to connect, then there is a good chance that you can extend it using the repeater. I’ll advise that you look for a different repeater. A repeater which supports open networks will work well for you. And most likely, you will not have to enter the password on the repeater. The repeater is only a range extender, it itself doesn’t connect to the internet or use it. The password will still be needed on the actual device which needs to make use of the network connectivity. Thank so much for quick reply. I need to consider budget and I thought I found solution. Bad luck always follow me but you save me from buying that and become useless+ waste money. Thank! I will try to find other budget devices. Hello! I have a Problem with my “Xiaomi Repeater 2”. I´m from Germany. My Test to use a DSL- Router works well. So far. I would like to use a “Huawei E5573Cs-322 mobil Router”. The Web frontend from the Huawei only allows to modify a few Parameter. All my Tests not succesful. Wenn I start “Mi Home” the Xiaomi will be found and the Huawei is shown. When I start the Routine Step1+2 are successfull but Step3 do not find the Repeater, so after this no “Router_plus”- Entry ist shown on my Smarthone. Ciao, ho appena acquistato lo xiaomi pro 300m wifi amplificatore ma non riesco a collegarlo alla rete. L’applicazione Mi Home riconosce il dispositivo, il mio telefono si collega, ma quando cerco di collegarlo alla rete ricevo sempre l’errore del timeout e chiede di riprovare e avvicinarmi al router anche se sono a pochi centimetri. Ho impostato il server cinese, ho provato a resettare il dispositivo, ma ogni volta ricevo lo stesso errore. Ho il modem adsl di Telecom, qualcuno e’ riuscito a configurarlo? Hello, did you try by setting the region to China (Mainland). That’s the only suggestion I can provide. Set region to other to find “WiFi Repeater” on list of devices to choose from when connecting. It worked for me. Hi Anoob. Did you find a solution? I’m having the same issue with my Sky Hub. can i connect my airtel 4g data signal through my mobile phone hotspot to my pc with mi wifi repeater? No. The repeater is not a USB receiver. You can try the Mi Pocket WiFi which works as a USB WiFi adapter for your PC. can it be used to wifi with mac filter? where can i find mac address of the mi amplifier? how do i block a user that is connected in my repeater? The Mi router connected for 5 minutes then disconnected,then connected again after 10 minutes. And when I search for device I couldn’t find it. I mean that I experience intermittent disconnection. What is the problem? Do you have any solution? The app seems to have changed? Is there a Mainland China? I see China and about 4 names in Chinese. Once you set up an account now and pick a location you can’t change it? Hello, As you mentioned, Mi Home app throws “Connection Error” during setup but repeater has a blue LED already. I can see XXX_PLUS wifi connection and able to use successfully 🙂 . But in Mi Home app i do not find a device added and thus cannot manage to rename trick. ANything can be done? The best you can do is to reset the device and try again. Also consider keeping the region set to China. However, it is still Mi Home’s choice if it wants to fully complete the setup or leave it mid-way. I tried resetting several times. Even reset wifi router. But same result. Problem is that if the device is removed from power source, entire setup has to be done again. 🙁 really annoying…!!! Changing location in Mi Home to Homeland China fixed the problem for me. Sir, When I setup mi wifi repeater 2 by mi home app , when `connect to router` display my wifi name show and show : public networks are not supported, connected to your home network….. why : i Have bsnl brodband & D-link dsl-2750U adsl2 + Router… please help me. I have a home connection at a shared house, which needs to login from browser every time you connect. Do you know if I can still use the device for this network? Maybe can I setup something at the router to pair with the extender?? Well, this repeater does not accept open networks. If yours is a WPA/2 secured network which asks login after autnentication, then it might work with the Mi Repeater. However, I haven’t had a chance to play with that kind of a setup. The repeater does not provide data over USB. So, it is only for extending an existing hotspot. You will need an Android or iPhone to complete the setup. I recently bought the mi plus repeater 2 and it works really well. I set up 3 of my devices and works wonderfully for surfing, 2 units of Android cellphone and 1 iPad mini. However, after an hour, I found 4 devices online connected to this device. Does that mean there are 4 units connected to it? Or is one of the addresses from the repeater’s own address? The 4-digit code? What is that for? I’ve used the Repeater and it works without any such code. Anyways, the device is fully reset when you insert a PIN and keep it pressed for a few seconds. I just can’t find the device on my smartphone. Can I do anything? Hi Gyula, can you try again by resetting the repeater and looking for it again? Also, ensure that you set the region to China in the Mi Home app. No. It is only a WiFi repeater, not an adapter. Will it work with Xfinity rounter? It will work with any WiFI network using WPA-2 security. if i press add button then it turn on location. scan nearby devices and it does nothing. Try by changing the region to China. Hello! I just bought my own MI amplifier but I found out that the MI Home App is not compatible with neither of my 2 android phones. Is there another way for me to be able to work this out? You can try by downloading and installing the APK file for Mi Home if your device shows as incompatible on Play Store. I can’t configure xioami wifi + repeater 2 in my iPhone 8 Plus. In wifi settings can’t display wifi Xiaomi repeater. I suspect that the Repeater is not properly setup. Do you see the Blue light on it? You might wanna try resetting it and completing the setup again. You cannot use it with a networks which are open to connect and then require a login to access the internet. how i can connect to the college router having WPA/WPA2 security? hello , the mi repeater 2 is ok with the app Mi home but ..this app doesn’t show the other repeater like MI repeater pro …so i am unablel to config with the router , Is there any other option to config the repeater pro by app or form my pc? No. You need to use the Mi Home app for the Mi Repeater Pro as well. Ensure that the repeater is turned on for a few minutes before you start searching for it in the Mi Home app. Also ensure that region is selected as China. I am not able to connect my iPad and one plus 3 phone with repeater as is showing error IP Configuration failure. Can somebody help with this. Hi Joao, that is the default behavior since the repeated network is eventually part of the same LAN. The repeater doesn’t have many settings to play with, so unless there’s something you can do on the Chromecast device, I don’t see many possibilities here. So I am using this device and I repeated the signal with a different SSID mainly to connect it to a chromecast with a stable signal. However, whoever is connected to the network being repeated by the Xiaomi device can still manage and control my chromecast which is connected to the private network. Thanks for the post. I did as instructed but this appears on my laptop when I try to connect. It says “Wi-Fi has the self-assigned IP address 169.254.66.63 and will not be able to connect to the Internet.”. How can I correct this? Honestly, I’m unsure what went wrong there. Are you able to connect other devices to the repeater’s network? (Say your phone) And do they work? Do you know if we can set to IP Address manually, then set the MI Repeater to Access Point? I have a friend that has a hotspot, but upon connecting to the Hotspot, i need to login via Web. Hi John, I don’t see that possible since you cannot edit any settings. I have a mi repeater working well and used it several times for 2 different routers simply by pressing reset and readding the router i prefer. But suddenly my phone(samsung j7) coudnt scan/search for the mi repeater device. I already tried reset several times, turning my fon on and off and even updated the mi app and create a new account but still my fon cant search/scan the device..??? I am trying to pair the xiaomi wifi amplifier 2 (following all the instructions), but every time i get the error: reduce wifi signal interference and try again. I am using an iphone 5s. My home network security is WPA2 Personal(have tried with WPA2 Mixed). Do you guys know what to do? I have the same problem. I have tried to configure it using an Iphone 6s and an Android phone with no success. My home network router has WPA-PSK+WPA2-PSK security. Old post, but I just purchased the 2 model. The only way I could get it to connect to the router was to change the WiFi channel to WPA only, it was WPA2. I wished I knew this before buying. The instructions are zero with this device. How to connect public networks? It say public networks aren’t supported, connect to your home network. Yes, public or open networks are not supported by Mi Repeater. You cannot connect to these. how do i connect my pc to the xiomi wifi amplifier? 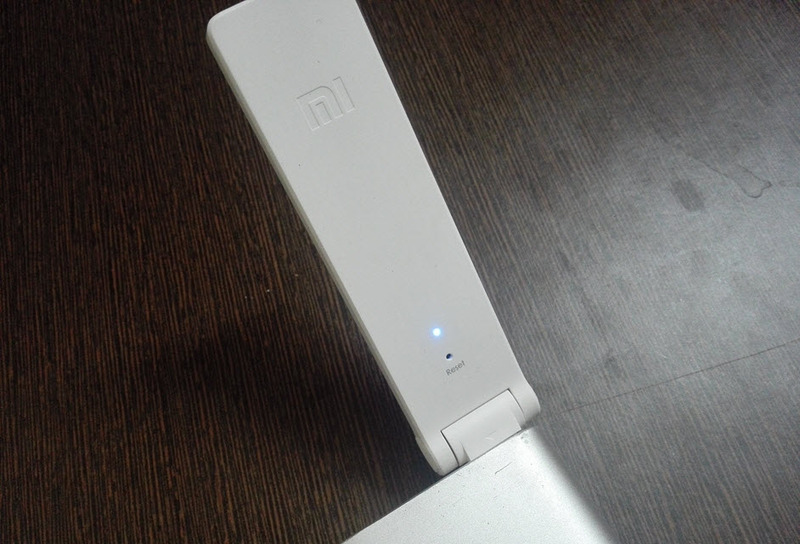 Your PC should have a WiFi receiver to catch the WiFi network created by the Mi Repeater. Is there a way to connect the Wifi extender to any device without a MI account like an Xbox or PS4? Cuz im stuck with the update and it only seems to connect to this device. Once properly setup, it won’t need a Mi account to use. Mi account is needed to complete the initial setup. Hi, thanks for the guide. It works for me! Can I manage the wifi sources that are already paired before? For example, I’ve already paired the extender with my office wifi. But at home I need to extend my private wifi also. How to change the wifi sources without reset the extender? Hi Jeff, you cannot. The WiFi Extender only works with one source at a time. In order to connect to a different source, you need to reset the device. Hi, great guide, it helped me setup the WiFi repeater after several unsuccessful attempts of my own. The light on the repeater is now blue, I have a new network which ends with _plus. I can connect to this network, but when I do I have no internet? The mi home app says everything is OK, connection is good, but no internet. Any ideas? Of course when I connect to the original network everything is fine. Ah.. I am not sure, Geert. The blue light only means that it managed to connect to the original network and is now broadcasting the same on the new SSID. Can you try again with Mi Home App’s region/server set to China Mainland? Hi, thanks for the quick reply. I already changed my region to China Mainland as per your instruction in the guide. That does not make a difference. Hi Andrew, does the light turn blue or stays orange/yellow? And what region setting are you using? Yep that was just I was going to recommend. Unless it is an international version of the Repeater, always use the Chinese server. Can you help me about the change the wifi setting, Because i dont want to samename with plus , i want to change SSID and password. There is section but i cant touch these sections ???? thanks for help from now . Me also i have the same problem pls help.. Excellent guide. Thanks a lot. Hi can I use it with dlink 2750u asdl 2 route? Hi please help, I have successfully paired my xiaomi repeater 2 with my home router/modem using mi home app, yellow light turned to blue, I used mainlad china as location and set my security with wpa2 aes. My problem is, my devices cant connect to the repeater/internet, whenever I’m connecting, its stuck in obtaining IP address. Unfortunately the repeater cannot be setup with unprotected networks. The app just won’t let you. I kept on getting the “Connection timed out” message and my LED light is still blinking orange. I have already reset the repeater and did the whole thing again but still get the same message. Why is this so? What has gone wrong? can i use it to extend wifi that need to login from browser to use the internet connection? That’s an open network, right? You will not be able to use it in that case. Thank you, helped a lot. I did what you said and finally i could make the conecction, but even without it the repeater was working, but i couldnt control when needed. Can I extend and connect ISP’s Wifi network If it only allows my Phone’s MAC?Or I will have to change mac address from phone’s to repeater’s mac? I’ve read about roaming mode in this device. could you explain how can I setup device in this mode. I want have only 1 SSID and extend range of my main wifi not repeat my main wifi with plus. in this mode I have 2 SSID. I tried as you explained, but it didn’t work. Every time it tries to connect, goes up to 89%and then shows connection time out. I am using Asus modem router. Please suggest to solve this problem. What is the security method on your WiFi Router? Try with WPA-2. How to extend range of free wifi. In our area there is a free wifi when we connect to that wifi it requires to login id.when we login it works perfectly.but due to no password i cant extend range of that wifi. Hi Jisan, I’m not sure which other repeaters will be of help to you. However, you cannot fulfill your requirement with the Xiomai’s WiFi repeater. It will not accept any open networks and there is no workaround for the same. I think it doesn’t work if security mode of original non mi router is set to Wpa/psk. Can you list the modes that it supports? Hey Narender, will I be able to follow the set up instructions even if Chinese is Greek to me? Hi. I have connection time out error at90% and the led is still blinking yellow.my device is is note4 and network is wpa2 and is set to mainland china.any suggestions? No idea Ali, do try a reset and then plug the repeater into a different USB source. I’m just bored of this gadget. I had the same problem. After changing the WPA Mode in the router settings from “WPA/WPA2” to “WPA2(CCMP)” the connection was established without a problem. I can not setup xiaomi wifi repeater gen 2 for tp link M5350 (wifi generator from 3G). Pls help me. Thanks! Hi!, i have a wifi network at home and office. 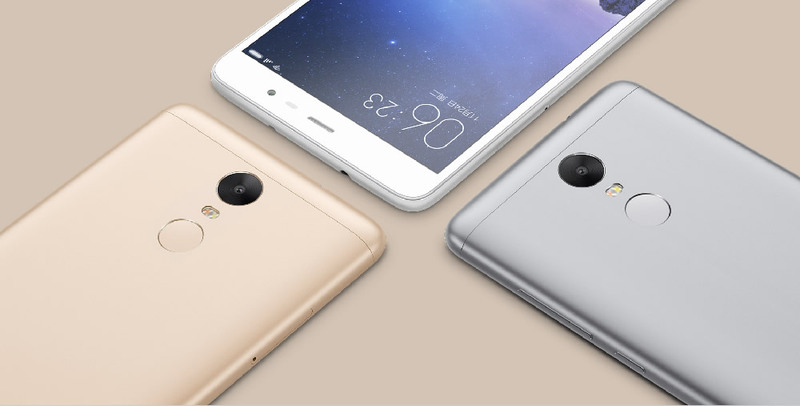 Its posible to configure two or more wifi networks on mi Xioami Repeter 2? So, it i go to home, the repeater work, and then go to office and work. Or I need configure every day en every place that I go. You can only configure it with 1 network at a time. So, yes, you will need to reset it and then set it up at every place you go. It is very useful guide. Thanks for the guide Narender! I’m setting up the repeater via iOS. Configuration works as expected, blue light turns on. When I leave the network name with the “_PLUS” no user at all can connect. When I alter the name to the original SSID only my phone (the one I used for setup) can connect but no other. Strangely though the repeater tells me 3 or whatever devices are connected and gives me the correct MAC addresses, but on the phones/tablets its sais couldn’t establish connection. Did you ever hear about such issue? I haven’t encountered something like that. But I can surely say that this device brings different issues for different people. Can you please try resetting the repeater and then doing the configuration again? Hopefully that will help.. Seems it doesn’t give IP addresses to any devices in the repeated WLAN, unless they directly logged into the original network before and just “Handshake” into the repeated network. First time, it was good. I saw blue led and i connected very well.. But second time, i tried to connect different wireless router.. I saw yellow led…. I tried to change and enter new modem wifi password but my cellphone didn’t connect. my cellphone always tried to connect but i saw “obtaining ip address” I don’t know why.. :S If i click reset on extender, it is work.. Should i have clicked reset button everytime?? Having basically the same issue. I connected easily. Thanks for your guidance. Is it a must to turn on wifi roaming? As i chose option 2 (change ssid and password), i assumed that i should not toggle wifi roaming. Please advise. I also experience intermittent disconnection. Is it because of the wifi roaming? I also experience intermittent disconenction too… Is there a solution? I can connect successfully, but the SSID_plus was still “the connection is limited”. What should I do? Thank you for the article. I have purchased today my xiaomi wifi+, but although i do all the steps as you have mentioned, i got stucked at the 8th step, when it comes to 89% it displays the massage ”connection timed out” and the led is orange and blinking. Do you have any idea of a solution. Did you set the region as ‘Mainland China’? And which Android version is your phone running? Also do try using a different power source. Reset the repeater first by inserting a pin in the reset hole and waiting a few seconds while the device is connected to a power source. I have the same problem. My android version is 7.0, phone Samsung S7 edge. I cannot install on other phone with other Android version. Play Store tells “version not supported for this Android versione”. Hi Carlo, I’m using a OnePlus 3 and it runs Android 7 too. Haven’t faced any issues with downloading from Play Store. Anyways,you can also download and install the APK file from MiHome website. is this for gen2 version? The process should be the same. However, I wrote it when I was using the Gen1. Thanks for the info. I tried the same way for gen2 it cant change the SSID name. It miss out the Additional Configuration of Mi WiFi Repeater in this gen 2. Anyway thanks for your help. Hi, that’s strange because the new gen device should have more options rather than having those removed. I’m trying to make changes to the article. Can you tell me following if possible? You can also message the Facebook page. 1. Did the connection complete successfully? Or it failed, but the blue light appeared? 2. Is the device listed in the app? it can connect with blue light but if not using China Mainland as the region, ut will not finish the setup and the app could not see the item. however changed to the China Mainland as the region, it is ok but could not change the SSID section. by the way I am using Samsung S5 as the setup. Did you change the region in the app to ‘China Mainland’? Please someone help I have the xiaomi original mi wifi repeater and it is in Chinese can someone help me In setting it up for English….. The application, however will continue to be in Chinese. There is no English version available for the Mi Repeater. Thanks for the lovely post. I have a new Huawei router and it works wonderfully well. Just one question, if I should position the repeater in the area where the signal is minimum? And in that case I have to keep it plugged into a power source, right? You can actually keep the repeater in an area where the signal strength is not too bad. I mean, unless the repeater manages to get a steady hold of the original network, it might not function properly. So, instead of keeping it in an extremely weak area, you can keep it somewhere the network is not too weak. Yes, since it does not have any batteries, you need to keep it plugged into the power source. Fantastic, it worked fine for me, thank you very much for the explanation! I want to connect to a network with wpa2-enterprise (username & password), but the app only says “Public networks aren’t supported”. What i have to do, to get the wifi repeated? You cannot use the repeater with an open network. Since in your case, the network requires additional authentication after initially connecting to it, the repeater will not connect to it, unfortunately. Agreed. Sorry for the confusion, but the repeater/MiHome app only accepts WiFi networks with a PSK. This doesn’t apply to WPA-2 Enterprise networks which usually use separate servers (such as RADIUS) and credentials to authenticate clients. I’m sorry but this Repeater will not work in your environment. Do you know if there is a way of changing the language to English once the initial setup is complete? You can’t change the region to other than China because the Repeater is not sold in other markets. The app will require a re-login if you change the region. When you choose Mainland China, the app displays most parts in English (provided you have chosen English as the language). The non-English parts (such as the additional settings page) have no English translation available and hence they continue to show in Chinese. Xiaomi only has English interface for products which are officially made available in other markets. Unfortunately, the repeater is not. I can’t et anny connection i did al above written and select China as mainland. Tried on a iPad Air and iPhone 6S with the latest 3.9.0 Xiaomi MiHome software. The online thing i’m not sure about is my password. My wireless password is abcdefg@1234 is that alowed? I’ll tried both on Linksys E3500 and Linksys E4500 routers with WPA2 personal as securety. Do you happen to have an Android device around? If possible, please try with Android as Xiaomi might not be properly supporting the app on iOS devices. Hi anyone can help? would like to ask when pairing my device to the Mi repeater only 44% and it will be CONNECTION INTERRUPTED. it only show yellow light blinking. Hi, Yes. My original network secured – WPA-2. just not sure why my Mi repeater only 44% and it will be CONNECTION INTERRUPTED. Please advice thanks. Resseting the device using the reset button in the pin-hole below the LED worked for me. Good luck. How to turn it off , i mean proper eject process ? Does the light on the repeater turn blue or stays yellow only? I have sampe poblem. Tried with two different WiFi sources and got exact same result, always at 44%. Both with WPA2. Any suggestion or should I return unit? You should try by changing to a different USB power source. Once I tried again by first pressing the reset button in the pin hote, it finally completed the process. does this repeater also extend the connection range of the gateway so mihome (e.g.door sensor) devices more far away could connect to it? If you set it to use the same SSID as the gateway, that might be achieved. However, I won’t bet on it. For two days I followed your procedure — alas it was a pain in the neck to setup not to mention deciphering its Chinese language (actually I managed to change into English but still confusing). Almost took a hammer to crush this Xiaomi Wifi Repeater, I plug it into my PC USB 3.0 and to my amazement it works! In a nutshell, the repeater needs stable electrical current to setup. Always failed whenever I plug into a power bank or a tablet charger while finishing the setup — after the connection established I plug the tiny wifi repeater on my unused tablet charger. Without doubt, it runs like a champ! Kudos to you, Mr Narender Singh. When i plug then repeater to a usb source it dosent show any led. It is not powering on. Seems like an issue with the repeater. Try another USB source to confirm that the USB isn’t the one at fault. thanks! I just got it to “work” too. The repeater connects to my router, the LED of the repeater is blue. But when I connect my iphone using hotspot to the repeater, I dont get the connection and it keeps having blinking yellow light. 1) Does it work with hotspot connect to repeater from phone device? I have no experience regarding hotspot from an iPhone, but hotspot from an Android phone did work. If there’s a setting regarding hotspot, please change it to use WPA2 to secure the network. Open network or other security protocols just don’t work. I’m looking into the whole wifi extender thing. I have three floors. Would it be an idea to get three extenders? And does having these extenders influence the download speed? Yes, speeds will be affected to some extent if you will route the network through 3 repeaters. You should consider installing a router with more signal strength. Installing your actual router on the middle floor can also be helpful in sending the network to 1 floor above and below. You can then use the repeater for covering broken areas. Repeating an already repeated network does not seem like an ideal choice. Hi. I am trying to connect my MI Wifi 2. Set up is running until 89% and then connection timeout. No bluelight as well. Do you know why? Or do you have any suggestion? China Mainland option was wonderful. I was trying with English and it not work. Thanks for the help. – the SAME app MiHome WILL run on a cheap Android TV box and DOES connect to a router from there, so the issue is with the app and Android device it is installed on. Also this WiFi extender operates apparently ONLY if using WP2 exclusively (what a weird expectation by the manufacturer!). Once it is tuned to the home network its signal strength is astonishingly high, as is the bandwith it can operate at. Thanks for the long writeup, mw. I had similar experience with this app. It worked on my older android phone, but not on my newer. Sometimes it would get me blue light and still say failed to connect. In short, it’s a lot of luck game to get this thing connected. But I also learned that this is actually a utility to be bundle with their Mi router. And with the router, it just requires a plug-in and plug-out in the USB port on the router. So maybe the issues are here because the main purpose of this product is to extend range of Mi Routers. It working with other router is just an icing on the cake. However, that’s just my POV. And yes, if it is somehow made to work with other routers, it could’ve been improved to provide a better experience and reliability. Agreed.I never heard about the MI home automation stuff before, just took advantage of this cheap WiFi extender (it is not really a ‘repeater’, as it has no brain, cannot be configured like a real repeater). The market for these MI devices seems to be restricted to Asia, and the software seems to be designed around PHONE based control exclusively, so there is no support for Windows PC or Macs. My writeup’s intention was to summarize ALL the issues I encountered during its setup, and there was an astonisihingly long and diverse list of issues to overcome for sure. So maybe others can benefit when struggling, after all the sales price must have pushed thousands of these things into the market. It is working OK now and I will keep it that way: broadcasting DSL from one building to another, quite an astonishing performance I did not expect to work that well. The problem was my android phone,i tried with iphone and it worked. Now can i use it with my phone also. Hi Narender, i get the notice didn’t find available devices,keep scanning? Orange light is blinking i can see de device on the wifi list. I have reset it for many times. Did you try adding it manually? HI Narender, thanks for this it worked like a charm. what is puzzling thought is that upon the detection of the wifi, it only allows me to choose the 2.4G over the 5G. which means my 5G was greyed out. have you encountered this before? Hi Vern, as far as I know, the repeater does not support 5Ghz and can only work over 2.4Ghz. That said, I haven’t actually tried it myself with a 5Ghz network. to connect to internet even it connected to device. No it won’t. It just is a repeater and USB is only used for power connection. You’ll be needing an actual WiFi Adapter either based on USB or PCI. thanks for your help, its work like a charm. great stuff with low price as well. 1. Yeah, the App says it successfully connected and I can change the SSID and so on. 2. I tried alle of them. No one works. 3. No MAC filter is set. I also tried to change all kinds of options, but nothing seems to work. I don’t have no other AP to test it now. Damn… but thanks for you help! I have same problem. After you get blue light just turn off and turn on again. thanks for the guide! I just got it to “work”. The repeater connects to my router, the LED of the repeater is blue. But when I connect my phone to the repeater, I don’t get internet… do you got an idea? Is the source AP working fine and you get normal connectivity using that? You might wanna try resetting and then setting up the repeater again. 1. Does the MiHome app say successfully connected or displays an error but blue light glows? 2. Can you try changing the authentication method of the source AP? A WPA-2 personal setup has worked fine for me. 3. Is there some sort of Mac filtering enabled in the source AP which only allows certain devices to access the WAN? Other than these, I cannot think of any reason why it is not working. Try connecting it to some other AP to isolate any issues with the repeater hardware. Can it boost signal from univerrsity wifi(ie wifi that requires sign in)? No. Since the connection will initially be an open one. It will not be able to connect with an open network. Thanks for your nice guide. I still search for a way to change the channel of the new extension-wifi. With the repeater on in one room the range of the original wifi will be disturbed and smaller in the opposite parts of the house because the two signals share the same channel. Hey Richard, I’m sorry but the app is really a hit and trial thing. It works sometimes and on some devices, fails on the others. You can continue using the _plus network or you can reset the repeater and try again. Maybe it will complete 100% this time and unless it does, you won’t be able to make changes to the network it creates. At least it’s working now. I can try to change the name later if it truly neccesary. Hi … i just got my xiaomi wifi extender today ..
During the setuo i have chosen mainland china as the locale… the problem was when i try to connect to the repeater. At 40% upon completion it says ” connectin interrupted” it happens many times and i still cant connect it. Can you try with some other Android device? hi… thanks for the reply. While waiting for your reply yesterday, i thought i should try it on ipad. It works fine but only after i reset the extender. I am just confused and feels weird. I tried on myy xiaomi devicr and it dorsnt work. However it works on ipad. BTW Why does it create a new SSID called as the original with the “_plus” text at the end? The setup is in English even if you choose China 😛 It’s the latter parts of the app which are in Chinese. The original SSID_plus is the default setup so that you can differentiate between the two networks 🙂 You can change it as mentioned in the article. I bought this one, and as other’s issues, I cannot connect to Mi Server, out of desperation I just plug the extender in my iMac and then I suddenly realized that I have the other wifi SSID abc_plus which is the extended of my wifi!!!. Give it a try. Owh, I’ve got to mention that the android app I use used to be in order and I use for viewing my Ants cameras, but when I tried to setup the extender it just asking me to login, and failed, but before the failure of loggin in I saw the prosentage of connection to the new extender was about of 25%. 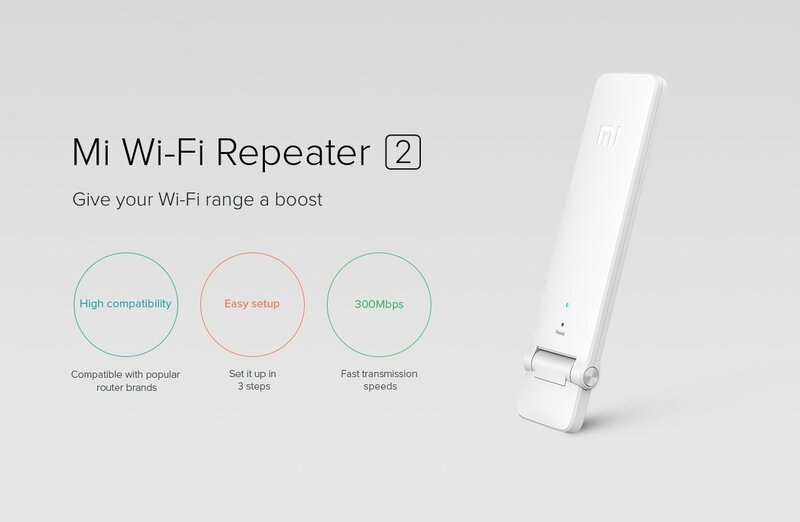 I was wondering, if buy another XIaomi repeater which SSID name will it create? I don´t like the the idea of having different SSIDs. I would prefer to have the keep the wifi network parameters in other parts of my home. I have got an interesting problem. So I managed to setup the extender, blue light and all. However, the abcwifiname_plus while working on my phone (Asus Zenfone), it does not work on my other phone (MotoG). Basically, both of them detect the connection, however only on Asus Zenfone that I’m able to use the net. My MotoG detects and can connect, but I can’t seem to use the net. Heard or experience something like this? 1. Does the Moto G work fine on the original network? 2. Did you try by connecting only one device to the repeater (Moto G)? 3. Did you try forgetting the connection and reconnecting? 4. Can you please give a try using a PING tool? So we know if it is able to send some PING request or it is not working at all. 1) Yes, it works fine with my original abcwifiname (without the plus). And with the connection from the provider. 2) I tried it with both connecting to the connection, it was fine like a month ago. That’s fine, man. You can just reply if you know what’s wrong if my wifi repeater. Hello, hope you can help me! I’ve set up the repeater successfully and use it with my phone and iPad. However my MacBook pro doesn’t see the network at all. Aren’t they compatible? This shouldn’t be the case. Does your Mac detect the original network? If not try resetting the network adapter on the Mac and maybe that will help? I just tried it out again with the latest version of the app available on Google Play Store and it worked very well. Even went ahead and allowed me to further configure the settings. Can you give it a try as well? Play Store link. What kind of app is this? me and my brother create 2 different account for MiHome. both account Unable to login! how to fix connection time out ? When trying to pair the amplifier, it just say Connect Timeout at 99%. After this i can detect it with any phone, but the yellow led light, and sometimes it won’t connect automatically.. I successfully setup my repeater, however as other have pointed out, the device is not showing in the app but still working after the “timeout” error. The only problem is that every once in a while, when I try to connect to the network after a while that I have not been using it my PC and phone won’t connect to the network unless I unplug and plug again the repeater to the power source.. this is annoying. Does this happen to you too? It seems like it goes on stanby mode..
Let me give it a try. Yes, that timeout thing is surely happening to me. I’m not able to make any customization to the network since it just times out and does not show up in the app. I’ll revert back on the disconnection. I’ve only used my repeater for short duration so far, so never faced that. Any idea if it works with hidden SSIDs? Will it create a new SSID_plus which is hidden or will it be broadcasted? Hi, I have a Belkin router at my place and there are a couple of WiFi blind-spots that I am trying to fix. There seem to be several options for WiFi repeaters/extenders out there in the marketplace and am unable to decide on which to pick. While the MI repeater seems like a good and an inexpensive option, I am afraid I may end up facing issues similar to those mentioned in this thread, and not find a resolution in the end. Would you know how the ‘TP-LINK TL-WA850RE 300 Mbps Universal WiFi Range Extender’ is? Are there any other good and fairly priced options that you’d recommend? Hi i,m having this error message when selecting my home wifi to connect the repater. Device may not support this type of net work. Use your router to connect. End with ok wothout any choice. Any advice ? My network is secured by wed and listed under cannot connect the internet. Why is my hone wifi not listed as active ? The device probably does not support that security. You can try again by switching the network to WPA2. No. The configuration is remembered. It works as a plug and play device until it is reset. how to reset this xiaomi wifi repeater? I would like to reset it to the beginning, thanks! You just have to insert a pin into the reset hole on the device and keep it pressed for like 5 seconds. Release when a constant orange light appears. it goes till 100% and then shows “connection timed out”. Is there any way to correct it???? I thousand time reset xiaomi ampli, pairing to the router, but it seem cant pairing either.. i dont know what’s problem.. may be you can help me. Hi! What version of Android is your smartphone running? I’ve had issues with every version after Lollipop. “After” means marshmallow right? There are hardly a few phones with marshmallow. So can I take it that you’ve tried it & it works or lollipop, kitkat & before? For me its failing on Lollipop! Yes, that’s what I meant. The app worked fine and connected with the repeater when I was using the Zenfone 2 on Lollipop 5.0. I have issues on my marshmallow device now. So I revert back to a backup device running kitkat and it works fine still. Doesn’t work for my case as I’m using Samsung tab 3 lite and the app that I downloaded from here keep saying “Can’t log in to account” while I can log in to my MI account from my desktop computer. Why is that…??? Hi, MI home app is available on google apps. Download the latest mihome or it will give you issues trying to login to the xiaomi servers. 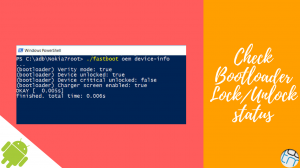 The Xiaomi WIFI Extender will only work in a non Xiaomi router – say example Fritzbox 7390 which is the router that I am using – if you change your router security settings to WPA2 only. Using something else and the mi wifi extender will not work. My device is working 100%. 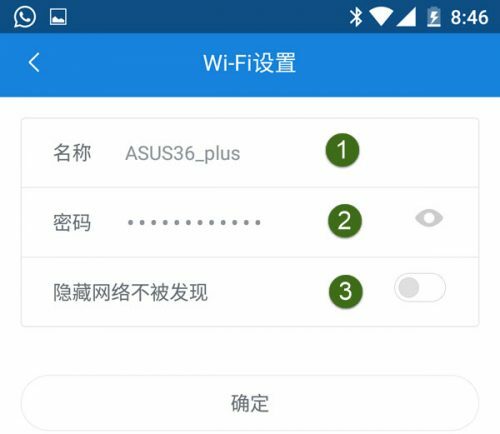 The latest mi home app will install a plugin after connecting successfully the extender to your router. The plugin is in Chinese but fiddling with it you can just add the signal of the extender to that of the router. That is, instead of adding #RouterName_plus to the network, your router signal will just be stronger without the need to reconnect your devices to the *_plus wifi. 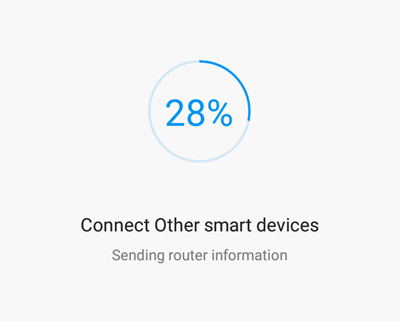 But I prefer using the extender as a second wifi connection point *_plus as after measurement this is the way of getting the best range for this wonderful xiaomi device. wifi Measurements (average values) in the same spot inside the room using FRITZ!App WLAN: connected to the router -65dBm, 65 Mbit/s; after connecting to mi extender *_plus wifi -41dBm, 72Mbit/s. My wifi not set passworld. T can not set up on Mi Plus. Help me! Sorry! My English is bad! I can’t login to MiHome app with my cellphone . 1- I download Mihome App from QR code. 2- I choice “Other Smart Devices” But it want to me sign in account. 3- I sign up account with my email, So i try sign in account and it answer I cant sign in account!!!! Can you please try with the MiHome app available on the Play Store? Use the Chinese server. Bhai bacha liya tune…. Hope it works…. Mai aaj he new liya tha, aur neighbour ke WiFi pe connect kiya tha. Par ab jab apne WiFi pe connect karne laga toh mi home app mai device show nahi ho raha tha… Hope it get reset and I can get it connected to my WiFi… Paper pin use karna hai kya ? Reset ke andar koi button laga hai ke vaise hi pin dalni hai ? I have the same issue with the Mi Home. It keeps asking me to log-in but it won’t accept my Mi Account password for whatever reason even though I tried resetting the password many times to make sure it is the correct one. Without logging in, nothing works. how to change the ssid in Xiaomi MI Repeater ???? i want to change it ..
With the latest version of Mi Home, you can change it easily, but the app is in Chinese. Hope you can make some tutorial in video or post how to change the ssid of Xiaomi Repeater..
Hi! Why my download speed when use this wifi repeater is so slow? Once it is setup I can connect it using any devices like a laptop or iPad ? It also fails step 9 for me. I Trier repeating an AndroidAP from another Phone and that worked. I think there is a connectivity problem with my router. I am using WPA2 security on a Fritzbox 7330 SL. I somebody knows, how to fix it or what I have to change in the router settings, please tell me. Hello Narander. Thank you for helpful guide. I want to make it private,how can i hide the ssid of mi amplifier? Thank you. With the update Mi App, you can set the connection to hidden. Now I don’t know how to explain the steps as it is in chinese. I’ll try making a video soon. Hi, yup please do share us the steps the soonest. Thank you! Thanks Narender Singh for the link. the com.xiaomi.smarthome.apk worked well for my Samsung Tab 3 Lite for the first time and it was timed out and asked me to reset. However, my USB Mi wifi extender led changed to blue, therefore I did not reset it. I tried to connect to it and it works but I cannot see it appear on the device list from the app any more, I have no idea but it works now. The system ain’t robust enough and the app does tend to lose connection to the device. Unless you really have to make changes, you probably don’t need the connection to the app. To get the connection back, resetting and then re-configuring would be the only way. Connect the device to the power source and then insert a pin into the reset hole. Keep it pressed for 5-10 seconds. Thanks for the help 🙂 i had reconfigured it now 🙂 cause the device had no instruction how or maybe written in chinese thanks 🙂 ?? What if i connect to an open wifi network? Will it still create a password for it? Did u try it yourself? As in mi home app it is showing the open wifi network.. I tried steps, I get my network_plus as new wifi connection but light is still blinking orange, it does not turn blue, also the last step during setup fails but still creates network_plus network. Have you solve the problem? I having the same problem. Not sure anyone can help? Any idea for iPhone users? I’ve no tried, but it shows WiFI Repeater in that screenshot they’ve put up. I’d appreciate if you could confirm if it worked. It doesn’t even auto-detect the device… I tried manually adding it, by selecting from the list, but after the 9th step shown above, it fails to connect… And I’ve tried it multiple times, after resetting the repeater (using the reset pin hole). Yeah, will try that too… Lets see.